My second visit to the Sticky Rice Cooking School in the Adelaide Hills several years ago was just as delicious and enjoyable as the first. The Sticky Rice school is situated in an old converted shop and residence in Stirling. The premises have been beautifully decorated in a modern Asian style with a smart dining room, a huge well equipped catering kitchen and a small shop selling spices, cookbooks and accoutrements. Thankfully, I managed to resist the temptation to buy yet another cook book !! Using ingredients sourced locally and mostly at Adelaide’s famed Central Markets, Barossa Valley chef Mark McNamara guided us through the preparation of nine Moroccan dishes – preserved lemons, harissa, warm green olives with pickled lemons, fresh sardine tagine with harissa, chicken & almond pastilla, Moroccan country style bread, tagine of lamb with saffron & thyme, couscous with green peas & butternut and a coiled almond and rosewater pastry. 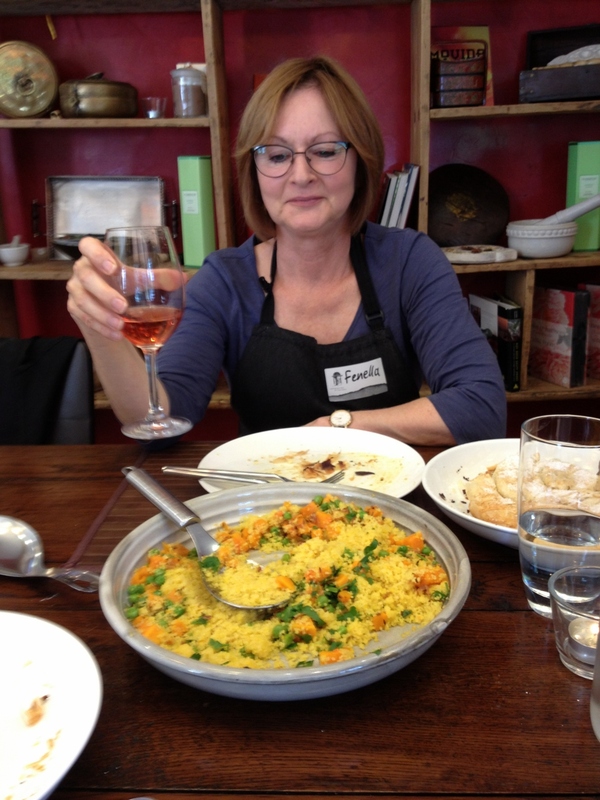 Every dish was a delight, simple to prepare and will probably be added to my repertoire. The unexpected highlight of the day was the tangy warm green olive dish … which as Mark said, would convert an olive hater to an olive lover.